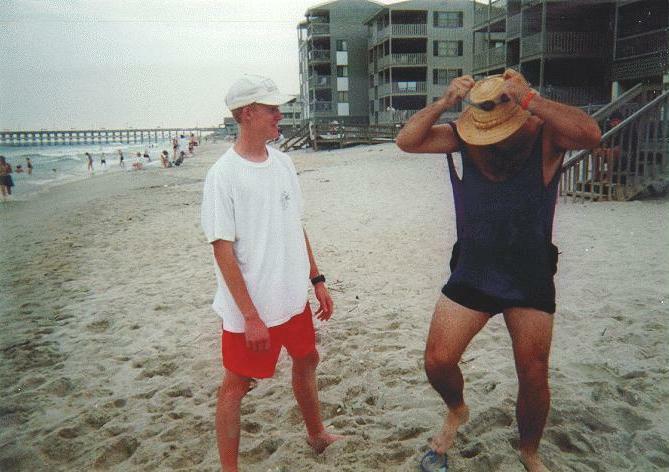 I spent four days with the kids in Garden City, SC at the beach. 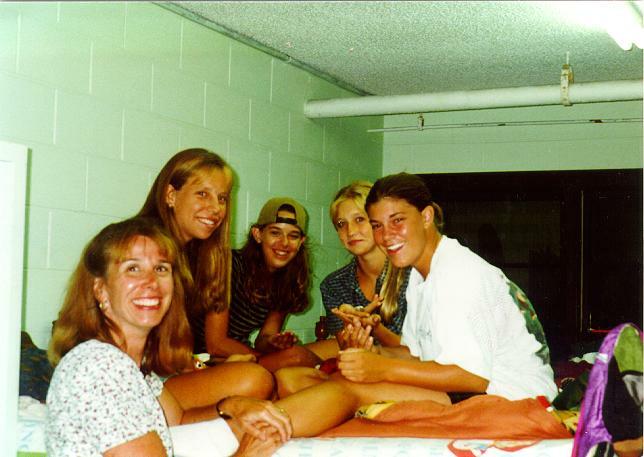 We stayed at a Christian camp and slept in bunk bed dorms. Our theme for the week was the Lion King. You know, "Hakuna Matata", "Circle of life", "Remember who you are", those themes. 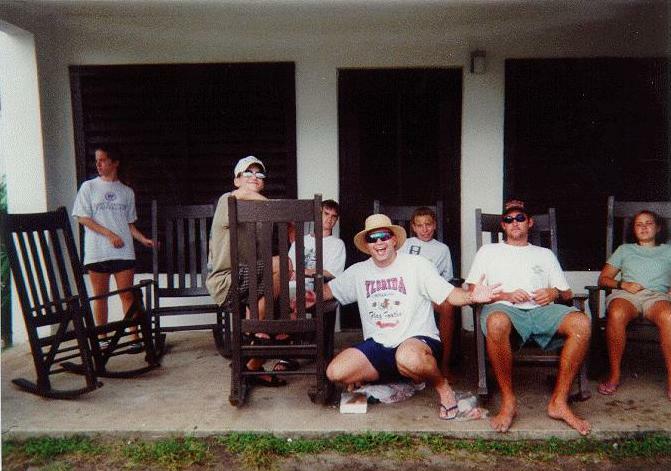 Me with some of the kids on the porch of the dorms we stayed at. 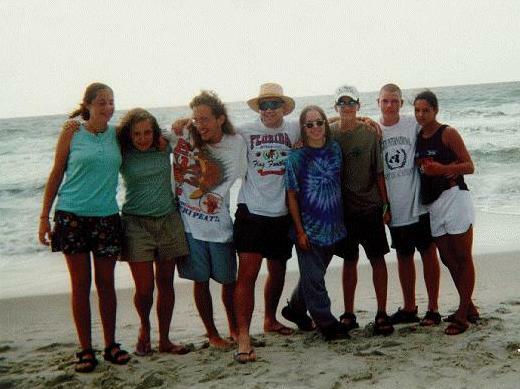 That's me in the middle with the goofy hat and sunglasses ;-). Here's one of our evening sessions. 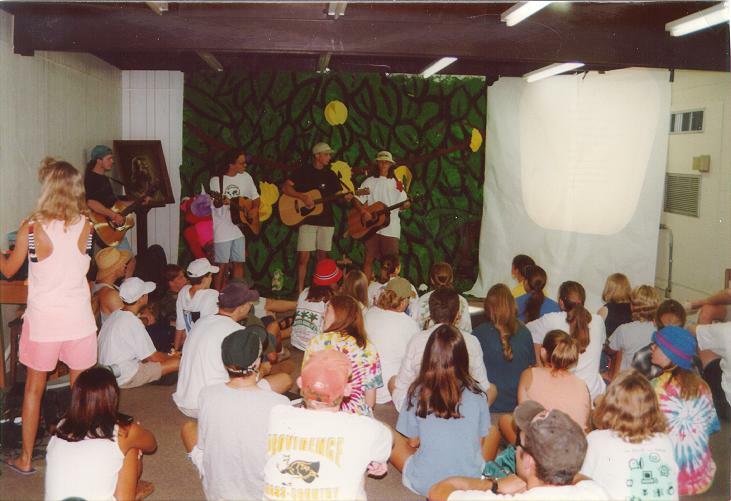 We always started `em with music, praising the Lord! Me with my devotional group for the trip. Since we used a dead fish to win a game on the first night, our group name was Roadkill. 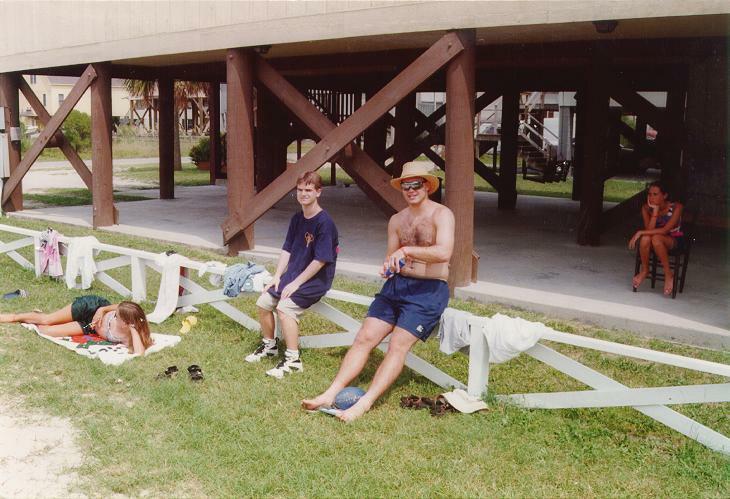 Me and the rest of the counselors on the ground after a grueling tug-o-war contest with the kids. They gave up and let go, sending us into the sand. 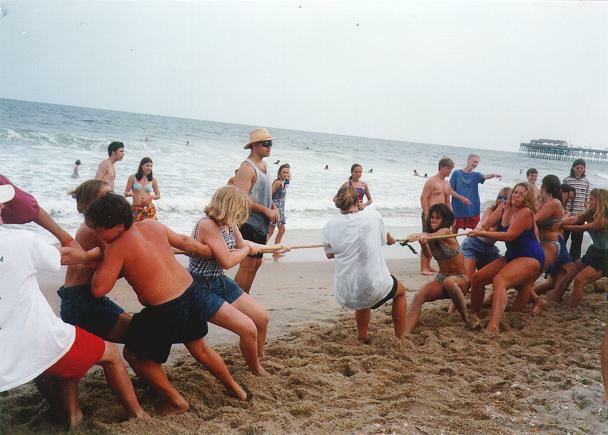 Some more tug-o-war action. This time it's just the kids, with me supervising. 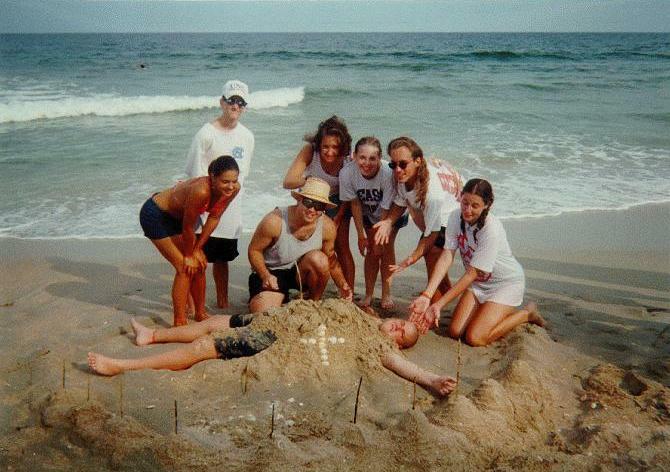 Me and the other Roadkill members with our living sandcastle. 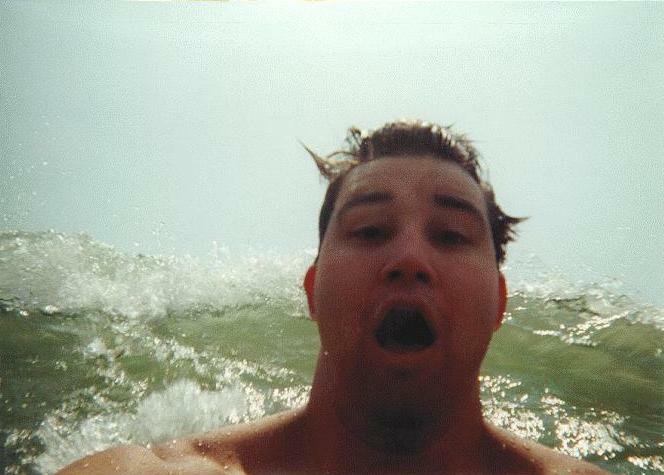 Extreme closeup of me about to get slammed by an oncoming wave. I had a waterproof throwaway camera for the trip. Taken by yours truly. 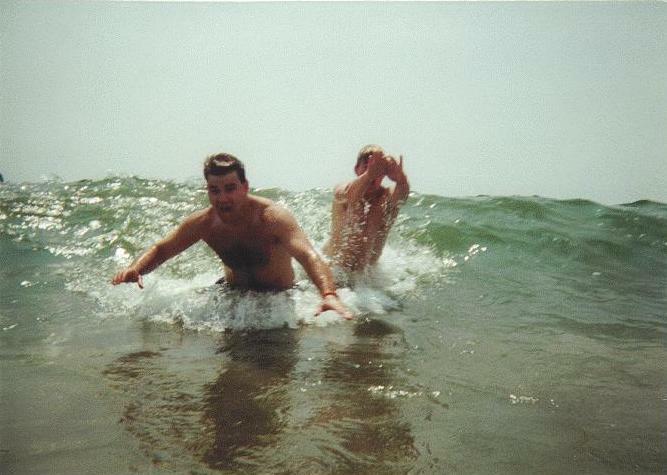 Me and one of the kids about to catch a wave. 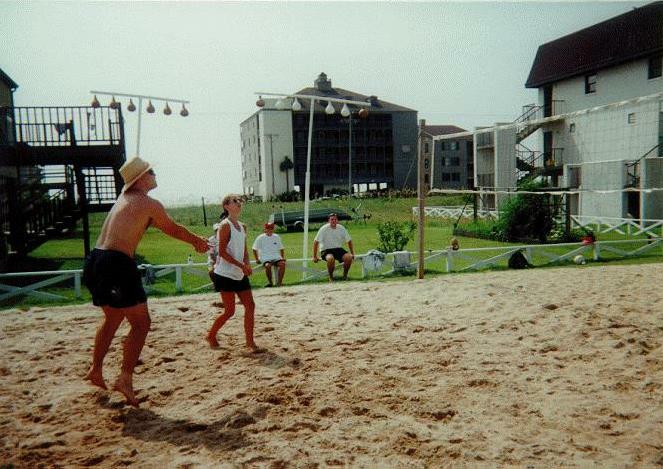 Here's me preparing to sunbathe while taking in the rest of the volleyball action. 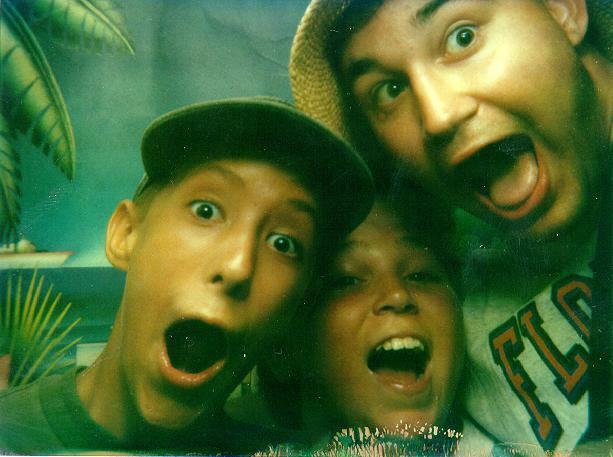 Me and two other crazy guys in one of those mini photo booths. A very dignified pose, don't you think? 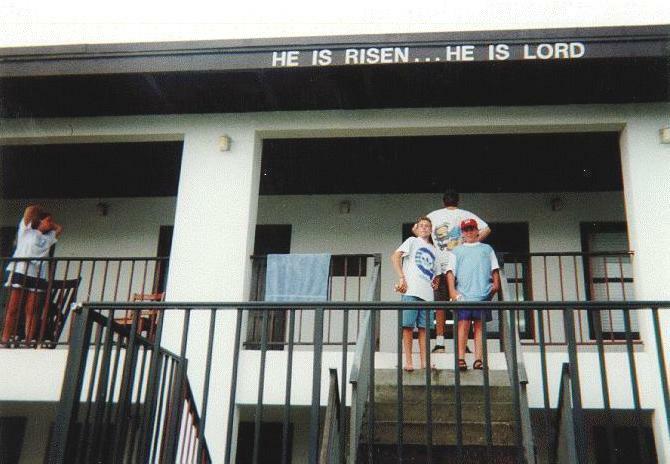 Here's a shot of our home for the week, with its motto for all to see.